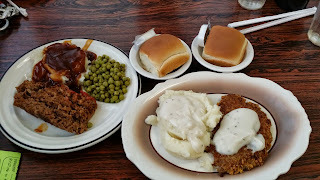 You can probably tell by the kinds of places I review that I love hometown, unique, local eateries. 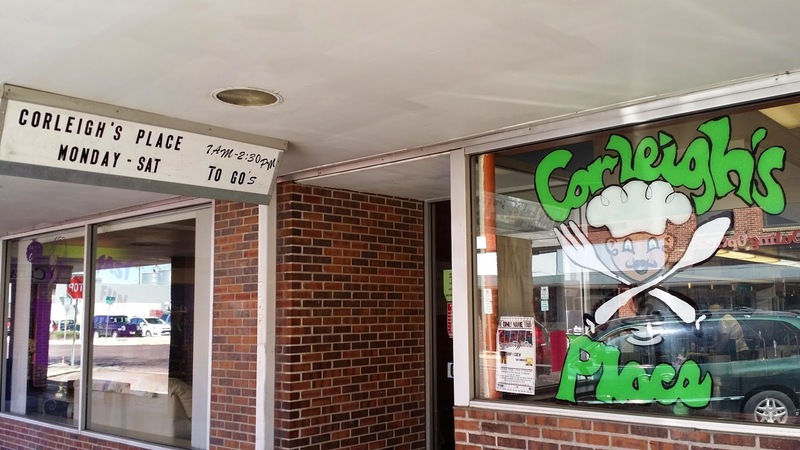 Sometimes I don't take advantage of what's in my own back yard - I think I may be the only person in North Platte that didn’t know about Corleigh’s Place downtown on the bricks at 517 N. Dewey. The eating establishment has been there as long as I can remember. 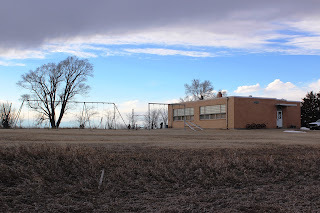 Years ago, it was known as the "Eat-A-Bite Cafe" (and I think it was buffet style, but I'm not sure. Then it became the "Main Street Cafe", but it has been Corleigh's Place for two years and I've never been there! 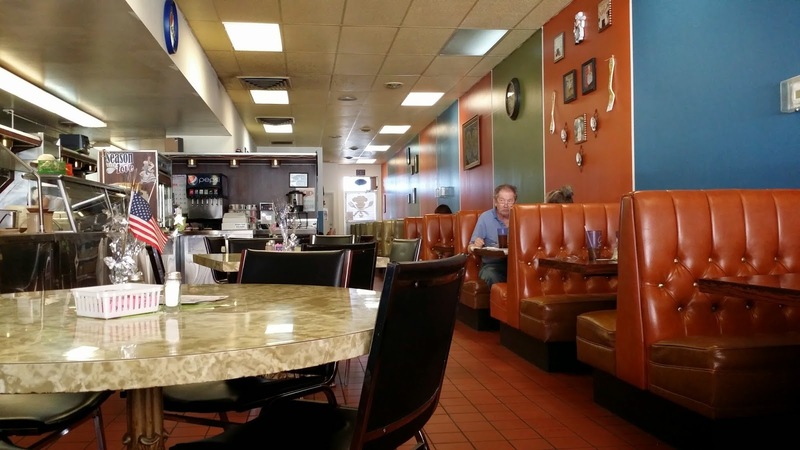 When you think of a hometown diner, Corleigh’s Place is exactly what people have in mind. Cozy, clean, welcoming diner feel; friendly staff; home prepared foods; and extremely reasonable prices will welcome you. 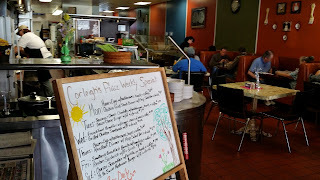 Corleigh’s Place is open Monday through Saturday 7am to 2:30pm and Sunday 8am to 2:30pm. They serve breakfast all day with unique offerings like peanut butter chocolate chip pancakes and Muh Nick (PB & J sandwich, dipped in pancake batter and grilled). Lunch is served daily 10:30am to 2:30pm and includes the standard sandwich offerings like B.L.T.’s and club sandwiches as well as delicious hand pattied burgers as well as a daily lunch special. Be sure to save room for dessert – homemade pies or cinnamon rolls! 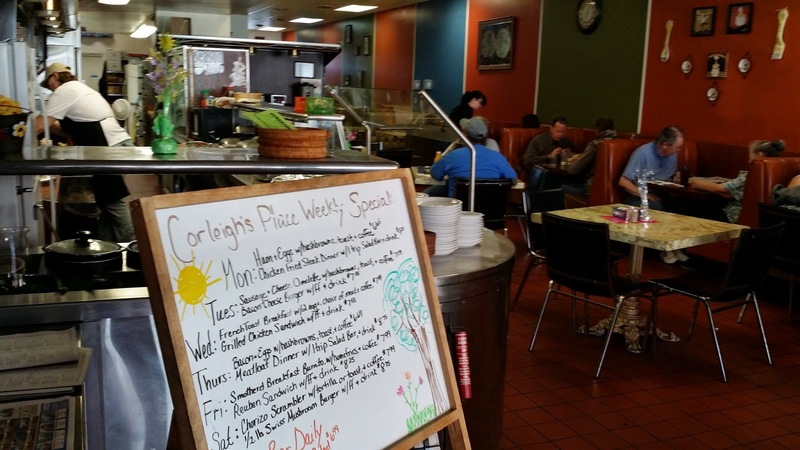 Corleigh’s Place also offers to-go orders for an additional .50 per order. To place an order call 308-534-0922. Bring cash or your checkbook. Corleigh’s Place doesn’t accept debit or credit cards. If there isn't any parking available on the Bricks on Dewey Street, no worries. There is plenty of parking in the rear.